Thousands of irregular migrants from Africa are now considering the Moroccan to Spain route in an attempt to reach Europe by land, says the Migrant Project. 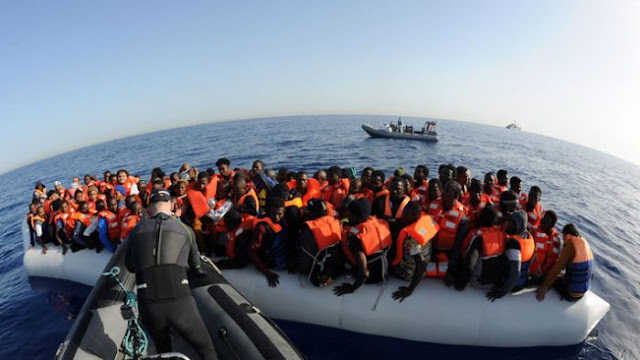 The anti-irregular migration campaign group, in a press statement, said that due to the unrest and clamp down in Libya, several migrants are avoiding the Libyan route which is deemed too risky, dangerous and stressful, thereby using the borders in Morocco as the connecting point into Europe. According to the group, over 82,000 migrants and refugees entered Europe by sea between January and September 2018, with over 36,600 entering Spain, making it the leading destination for irregular migration into Europe this year. “In July, more than 700 migrants from sub-Sahara Africa stormed the border fence of the Spanish enclave Ceuta in Morocco with dozens injured and several dead,” the group’s media officer, Tayo Elegbede said. Elegbede further noted that the realities of irregular migration in Nigeria and Africa continues to generate concerns for stakeholders due to the inherent dangers of the journey which entraps, enslaves and renders many migrants stranded, unsafe and even dead. “Our observation of irregular migration trends in Nigeria has revealed quite a number of realities. While the journeys are a really hard move to track, it is worrisome to note that over 1,700 people have died this year in an attempt to cross the Mediterranean sea. Similarly, thousands have their lives in attempts to use the Moroccan-Spain route into Europe, This is outside of the cases of forced labour, slave trade, human trafficking, organ harvesting and detention, and other inhuman experiences,” Elegbede said. He, however, enjoined Nigerians to explore home-based or legal alternatives to irregular.